As a licensed healthcare provider in Washington State, I write medical marijuana authorizations for qualifying conditions (see conditions below). Marijuana cards allow the patient to grow their own medicine, and purchase medical marijuana as a patient without having to pay sales and excise taxes. My office is located on the Olympic Peninsula in Sequim, WA, between Port Angeles and Port Townsend. See Contact Page. Under Section 16 of the Cannabis Patient Protection Act, the Washington State legislature finds that there is medical evidence that some patients with terminal or debilitating medical conditions may, under their healthcare practitioner’s care, benefit from the medical use of marijuana. Cancer, human immunodeficiency virus (HIV), multiple sclerosis, epilepsy or other seizure disorder, or spasticity disorders. Intractable pain, meaning pain unrelieved by standard medical treatments and medications. Hepatitis C with debilitating nausea or intractable pain . Diseases, including anorexia, which result in nausea, vomiting, wasting, appetite loss, cramping, seizures, muscle spasms, or spasticity. Chronic renal failure requiring hemodialysis. The healthcare provider evaluates and documents the patient’s health history. This includes current and past treatments for the terminal or debilitating condition, comorbidities, and any substance abuse. The provider reviews the patient’s medications including indication(s), date, type, dosage, and quantity prescribed. The provider documents a written treatment plan that includes a review of other measures attempted to treat the terminal or debilitating medical condition, advises about other options for treating the terminal or debilitating medical condition, and determines that the patient may benefit from treatment of the terminal or debilitating medical condition with medical use of marijuana. the need to safeguard all marijuana and marijuana infused products from children and pets. If the patient is under age 18, or the patient is without decision making capacity, the provider ensures the patient’s parent, guardian, or surrogate participates in the treatment and agrees to the medical use of marijuana. The provider consults with other healthcare providers involved in the patient’s treatment as medically indicated and as agreed to by the patient’s parent, guardian, or surrogate. Patients with a valid authorization form may join the medical marijuana authorization database and receive their medical marijuana recognition card. Joining the authorization database is voluntary for patients age 18 and over, and is required if the patient is under the age of 18. Patients age 18-20 may purchase products if they join the authorization database and have a valid recognition card; however, they are not required to have a designated provider. Purchase products sales and excise tax free at licensed and medically endorsed marijuana stores. Purchase up to three times the current limits. Possess six plants and eight ounces of usable marijuana. 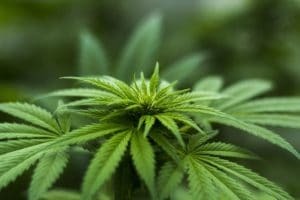 The healthcare provider may authorize additional plants to a maximum of 15; an authorized patient may possess up to 16 ounces of usable marijuana produced from the plants. Participate in a medical marijuana cooperative regulated by the Washington State Liquor and Cannabis Board. Bring your authorization form given to you by your practioner to any medically endorsed marijuana store, and ask to see the medical marijuana consultant on staff who is authorized to enter patients into the database. A $1 fee is required from cardholders when the card is created. The medically endorsed marijuana store collects the fee and pays it to the Department of Health.